Nars has always been a special brand in my collection, there is nothing, I mean nothing from the brand that I don’t love. It’s just classic perfection in my opinion. And after lusting over the eyeshadow duo Isolde and Radiant Creamy concealer, I finally decided it’s about time they were home. So that’s basically a small haul from Nars, that I wanted to share before I jump into talking about Isolde eyeshadow duo. Nars Isolde : The two shades in this duo are describes as “frosted ginger” and “shimmering copper” the kind of shades and names that speak to me. I feel the orangy shade against the gold and the coppery tones really make a vivid combination for bringing out the brown eyes. Being warm toned I feel these colors do suit me pretty well and makes my eyes look lovely. 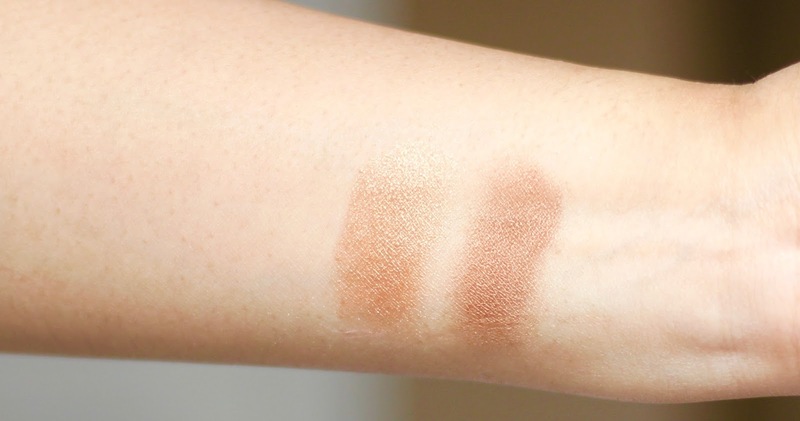 The consistence of the eyeshadows are soft as a butter, effortless to blend and I have to admit I’m impressed with the staying power, even without any primer underneath, it lasted on my eyes lids pretty much through out the day (now thats impressive). 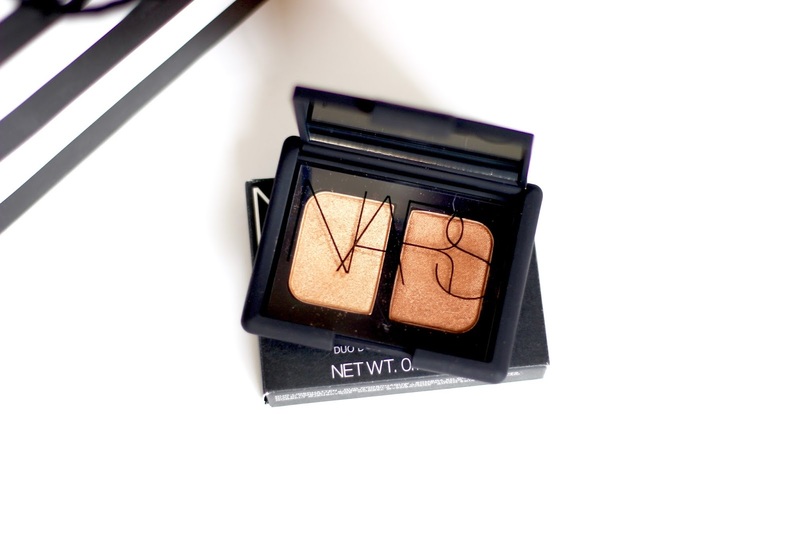 And if you love that “bronze goddess” look, then this eyeshadow duo is the perfect bait. The way I like using it, is by applying the dark shade all over the lid blending it to the crease area, and blending whatever is left in brush on the lower lash line, and then just dabbing the gold shade right in the center, blending it out to the inner corner of the eye and then adding an extra dab of gold on the center again to lit up the eyes. It’s such a wonderful duo for doing an everyday smokey look without looking over done or too dramatic. 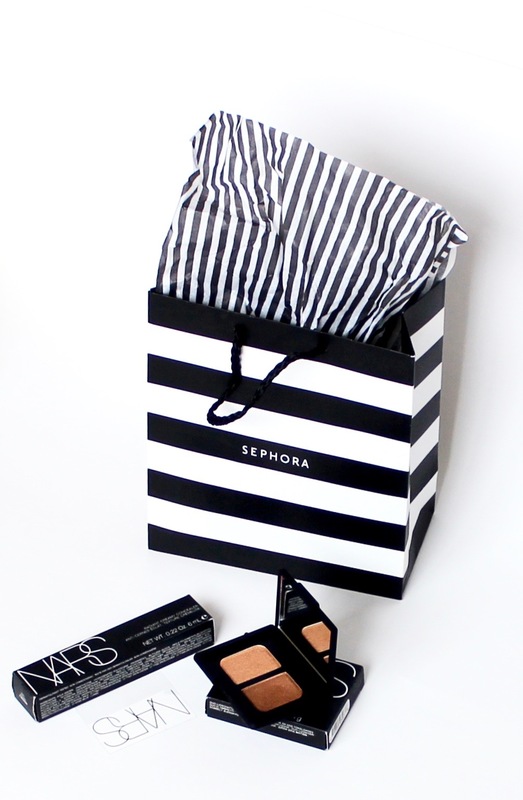 Highly recommend this gorgeous eyeshadow duo from Nars, it’s totally worth it. 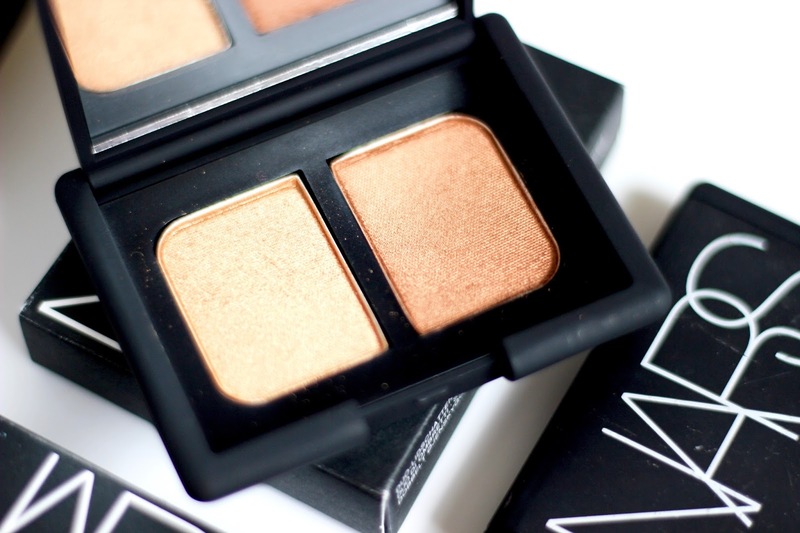 Have you tried any eyeshadow duos from Nars? Do you think they are worth the hype?